Parks, recreational facilities and open space serve as vital parts of the community’s character. Poulsbo has 15 city parks totaling 137 acres – about one-half of the acreage is developed while the rest is undeveloped or in open space designation. 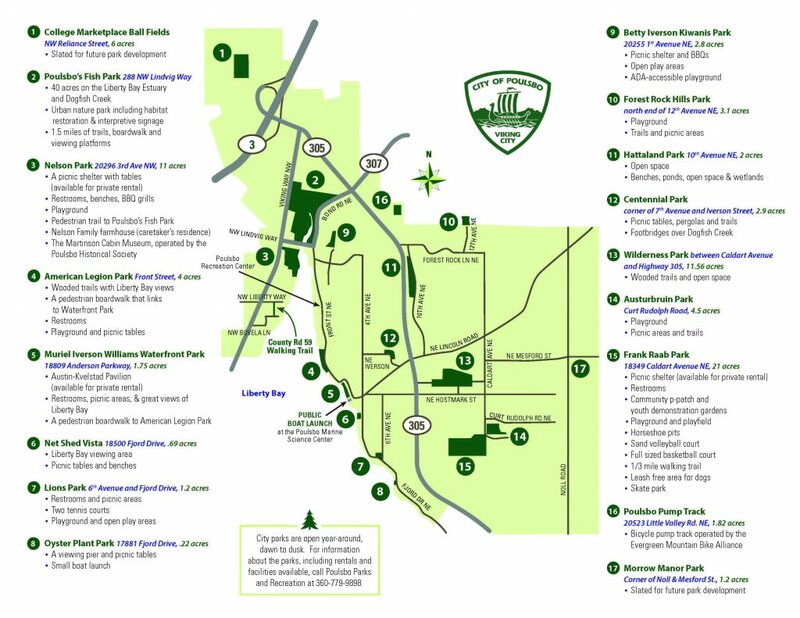 The city also has 5+ linear miles of trails. The city has been active in park development in recent years, making sure that partnerships are used to enhance park projects and activities. Volunteerism and stewardship of the natural and cultural resources within the city has helped shape many city park projects. Click here for a PDF version of Poulsbo’s Fish Park Trail & Walking Map. Click here for a PDF version of the Significant Trees of Poulsbo Walk. Click here for a PDF version of the downtown Poulsbo walking map. Click below for more information on Kitsap Water Trails. Click here for a PDF version of the Stay N Play map. 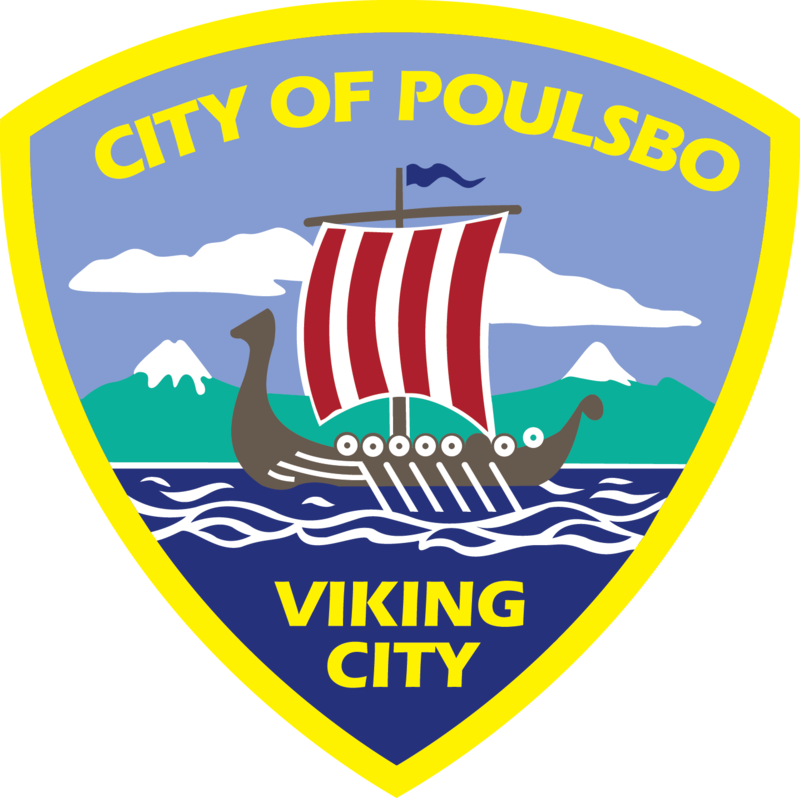 Click here for a PDF version of the downtown Poulsbo parking map.